Send birthday love to someone living in a college dorm or in another state. This banner easily tucks into a suitcase or mailing envelope. 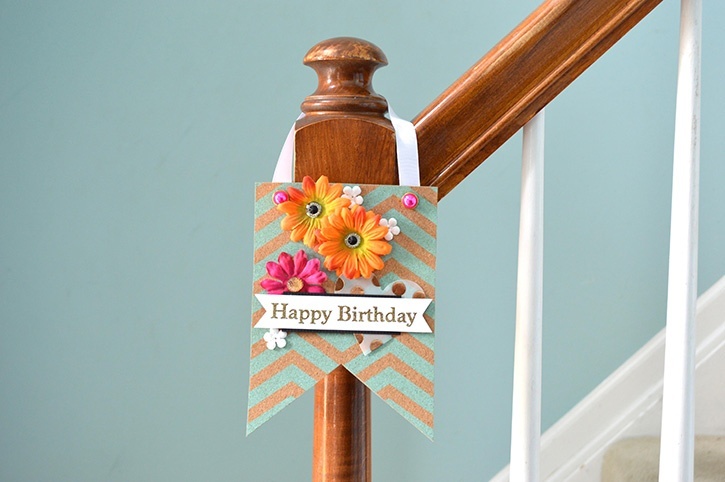 Even if you can’t see someone in person, you can make their day brighter with a banner to hang on their door handle…no matter where they are! 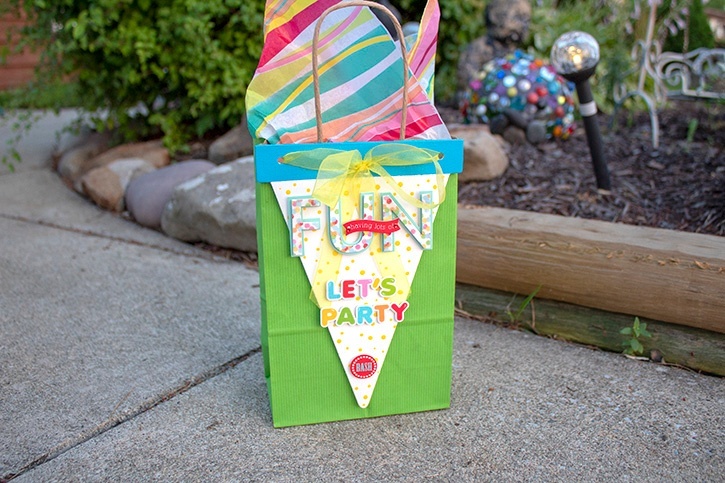 Choose a large, cork banner from the Banner stack and cut it out with scissors. Poke holes near the top of the banner, placing them equal distances away from the edges. Push brads through the ribbon, placed on the back of the banner. 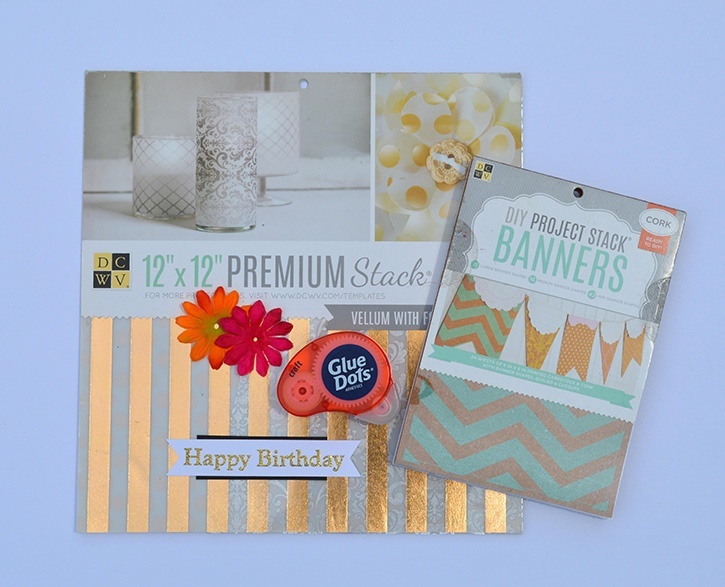 Stamp the Happy Birthday sentiment in pigment ink. Use a heat tool to emboss with gold embossing powder. Cut with a paper trimmer and snip the ends to create a finished edge. 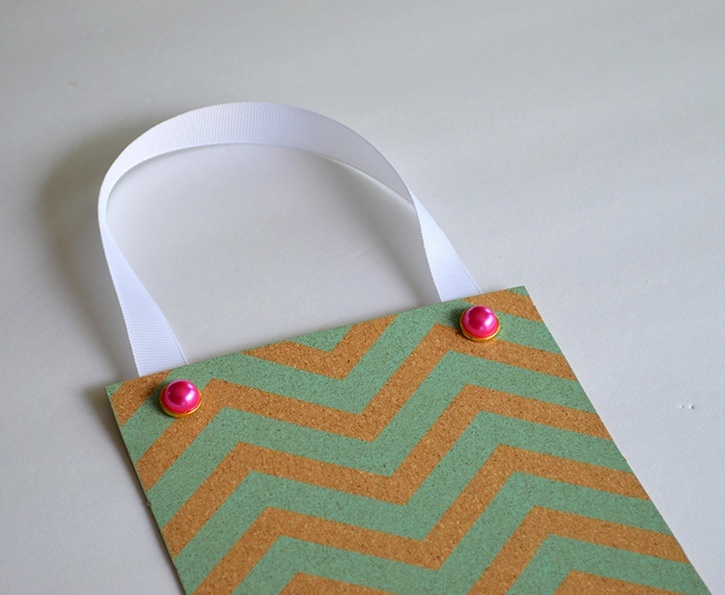 Add an extra layer using a scrap of black card stock and Ultra-Thin Dots. Cut out heart shape from vellum using Sizzix Bigshot. Tip: When using Glue Dots on Vellum, tuck the glue dot under another element so it doesn’t show through the thin vellum. Arrange all other decorative elements on the banner to figure out an aesthetically pleasing arrangement. Use Craft Dots to adhere as needed on the cork banner. 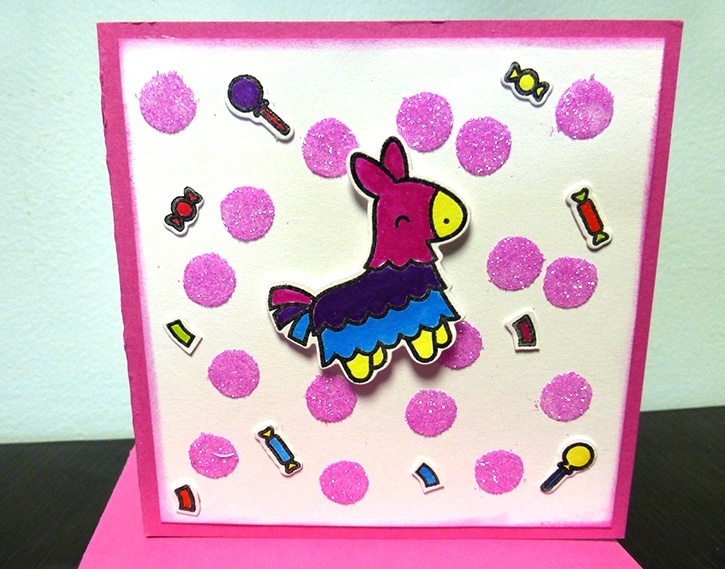 Tip: Craft Dots are great for adhering different textures together. Start off with large items and then work in the smaller details. 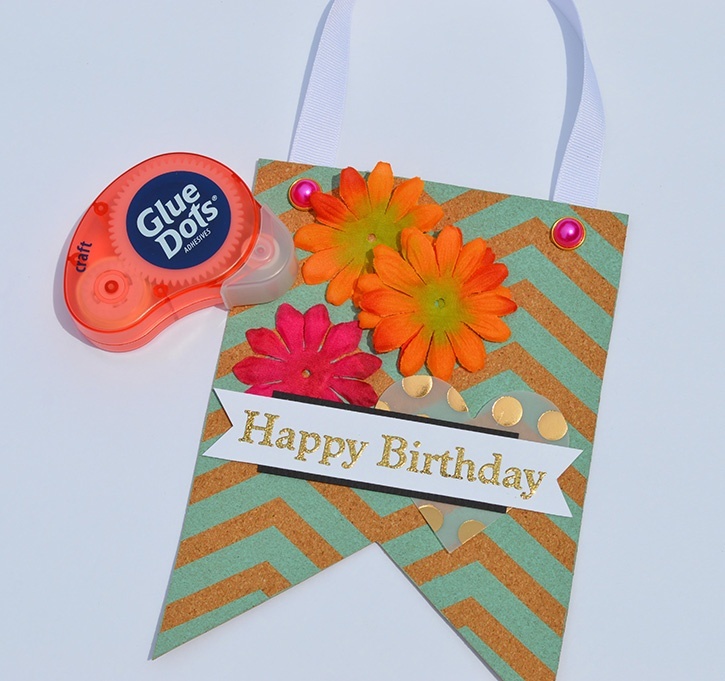 Use Pop Up Dots to add the Happy Birthday Greeting on top to make it stand out! Mail this banner to a college coed, or young adult out on their own, to let them know you are thinking of them on their birthday!